We are in a completely new era where people appreciate convenience more than ever . With our new mobile app our clients can accurately document the damage and send it directly to our in house estimators without the need to visit our repair shops physically. Our staff is trained to provide an immediate response and answer any questions you may have. Click above to see before and after photos of our work! From fender benders to broken windshields, we got you covered. See how we can help! Come see us at one of our two locations today! Bring us your repairs, and we'll bring you peace of mind! We are dedicated to providing our customers with the best service at a reasonable price. 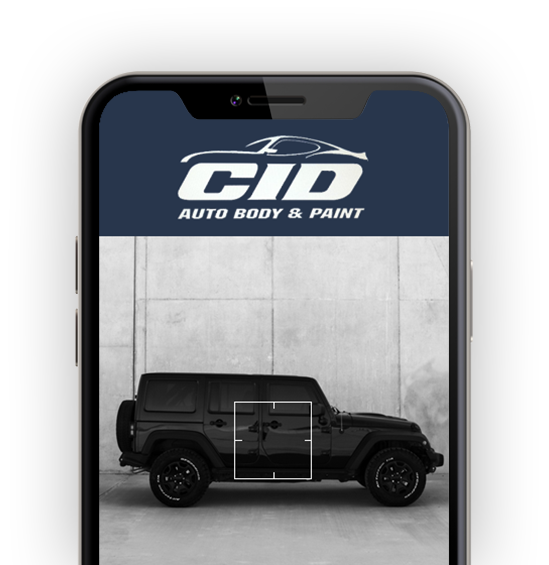 At CID Auto Body and Paint, Inc. we make it our mission to put our customers first by investing our time and expertise into repairing your vehicles. We have what it takes to do the job right. Get your free estimate today! At CID Auto Body and Paint, we strive to provide excellent service. We understand that being involved in an accident is not a pleasant experience, here at CID Auto Body and Paint, INC we work directly with the insurance adjustors all the while advocating for our clients in order to make the process as simple as possible. CID Auto Body and Paint, Inc. will provide the professional and courteous service you deserve. Timely repair of vehicles. Award-winning customer service. Competitive pricing.